In the spirit of “better late than never,” I did all my Valentine’s Day decorating the evening of the 14th, including pulling out this pink and red beaut from the 1940s. Did the holiday sneak up on anyone else? This month is just flying by! 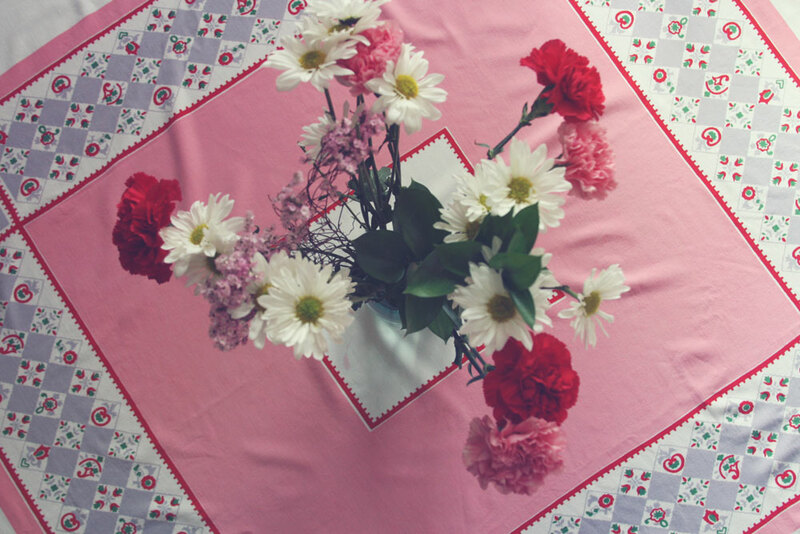 This entry was posted in Uncategorized and tagged tablecloth of the month, vintage tablecloth by highplainsthrifter. Bookmark the permalink.